Last night, Louis Tomlinson premiered his first solo song ‘Just Hold On’ for the X Factor masses. However, it was a bittersweet moment for the former One Direction star, whose mother Johannah Deakin passed away from leukaemia on Wednesday night. It had been her wish to see Louis perform his new music on the show that made him famous, and so Louis performed in her honour. According to The Sun, Louis Tomlinson received support from his old bandmates Harry Styles, Niall Horan and Liam Payne moments before going on stage at X Factor. Backstage in Louis’ dressing room, the biggest boyband of recent times reunited in the same room for the first time in a year. A source told The Sun: “Harry, Niall and Liam all wanted to be there to support Louis tonight for what was undoubtedly one of the most difficult moments of his life. “It was an incredible and special thing for them to get back together as a four and be like brothers again. “Niall flew in overnight from New York so he could be there and Liam came from Los Angeles. It was that important they were together. Louis, Harry, Niall and Liam were famously put together, along with Zayn Malik, during X Factor 2010 after a suggestion from Nicole Scherzinger. Fittingly, they were eliminated at last night’s stage of the competition – finishing in third place behind Matt Cardle and Rebecca Ferguson. The boys went on to top charts worldwide for five years before beginning an official break earlier this year. 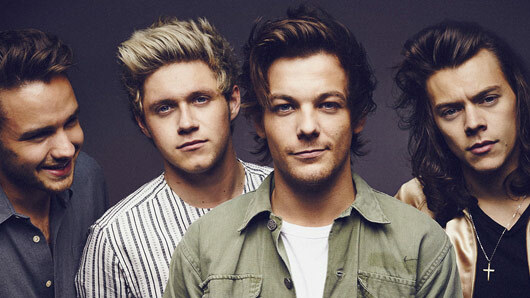 Louis is the third member of One Direction to release solo material, after Zayn and Niall.